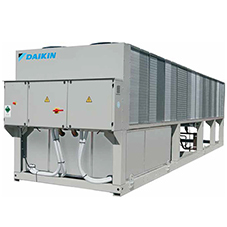 Daikin Applied UK worked with Skanska on the design and build of 60 Air Handling Units (AHU) plus 3off water cooled chillers totalling 1MW of cooling for one of the biggest health sector construction projects in the UK. For the 60off design and build AHU’s each unit were designed to provide a tailor made solution for optimising air conditions throughout multiple spaces. This system offered complete design flexibility with no limitations. 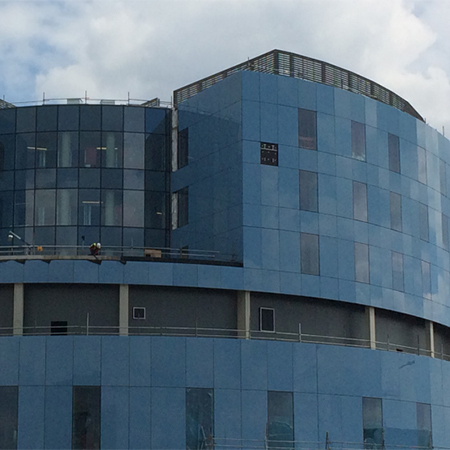 For the 1MW of cooling Daikin Applied Engineers worked with Skanska design team changing the original design of air cooled installation to a lower cost, higher efficiency water cooled solution. 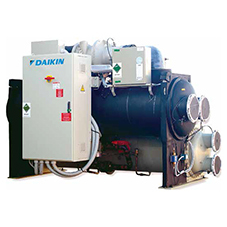 The early selection of Daikin Applied as the equipment supplier allowed the professional team to develop the system solutions to optimise the available space. Daikin Applied worked directly with Skanska’s appointed designers reviewing duties, plant room layouts and configurations to ensure the design produced a compliant and workable solution. 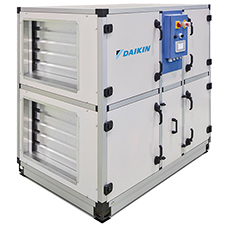 Compliance with new efficiency standards (EN 1235/14) for both heat recovery and overall AHU power were challenges achieved with Daikin Applied’s application design software, providing solutions at the best possible cost profile. A key development proposed by Daikin Applied and approved by Skanska design team was the selection and use of the latest high efficiency EC fan and motor solution. These fan arrangements used single fans, twin fans and multiple fan arrays which allow for increased resilience and rapid service. The units also had particular requirements that meant a number of units had longer top sections than the bottom sections, due to the components fitted. This meant they had to be supported from underneath. Mark Parker Daikin Applied Projects Supervisor designed a supporting structure with the use of an empty AHU box section to support the top level; this box section would also allow the ducting to pass through.This concept was accepted by the site design team and implemented on roof level units and some internal units located on level 2. By using the open framework design Daikin Applied managed to support the top sections, avoiding lengthy on-site steelwork installation and additional AHU panels being made. The solution also allowed for easy duct work installation directly to the unit through the open sections.